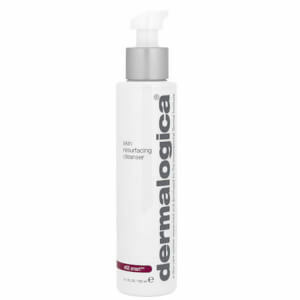 Essential Fatty Acids/Honey/Squalane: Provide nourishment to ultra dry skin. Vitamins A, C & E: Anti-oxidants that bring nutrients and bind moisture. Neroli/Ginkgo: Stimulates circulation to revitalize skin. Coneflower/Wild Yam/Grapeseed: Repairs prematurely aged skin. Water/Aqua, Ethylhexyl Hydroxystearate, Cetearyl Ethylhexanoate, Butylene Glycol, PEG-8, Stearic Acid, Dimethicone, Glyceryl Stearate, PEG-100 Stearate, Lactamide MEA, Cetyl Dimethicone, Cetyl Alcohol, Aloe Barbadensis Leaf Juice, Rosa Centifolia Flower Extract, Centella Asiatica Extract, Echinacea Purpurea Extract, Vitis Vinifera (Grape) Seed Extract, Camellia Oleifera Leaf Extract, Ginkgo Biloba Leaf Extract, Dioscorea Villosa (Wild Yam) Root Extract, Lecithin, Sodium Hyaluronate, Glycolipids, Retinyl Palmitate, Ascorbyl Palmitate, Phospholipids, Tocopheryl Acetate, Superoxide Dismutase, Sodium PCA, Ethylhexylglycerin, Phenoxyethanol, Carbomer, Potassium Cetyl Phosphate, Disodium EDTA, Aminomethyl Propanol, Citronellol, Geraniol, and Linalool. I have ridiculously dry skin and this moisturiser is one of the few that leave my skin looking plump and feeling moisturised. It’s perfect for under makeup too, it doesn’t cake at all, plus it doesn’t feel heavy. I was converted last year and I’ve found my forever moisturiser. The best moisturiser I've found & I've tried A LOT. I have menopausal, very thirsty skin, described as dehydrated by some skin consultants. I've always been a Clarins girl but even their vital light range struggled to keep my skin feeling good & it is so incredibly heavy in texture I decided to take a punt on this moisturiser, relying on the Dermalogica reputation & the product reviews. On its arrival I was sceptical, the texture was more like a lotion than the creams I was used to, however I was prepared to give it a try. I used it night & morning as instructed & it absorbed into my skin very quickly making it easy to apply makeup. Comfort lasted through until makeup removal & in the mornings, my skin didn't feel tight & screaming for moisture. A week later, my skin felt good, after two weeks, still good. I then went to the Canaries, a good test. It absorbed really well in the heat & despite all the sun, swimming & air conditioning my skin still felt comfortable. The real test came on my return to the UK. After about a week my skin normally starts to itch due to the dehydration from time in the sun. Normally I feel like I could scratch my face off, but it didn't happen! Three months later I have no blackheads, fewer open pores & silky soft, well moisturised skin. The product is no more expensive than other premium brand & it goes so much further so great value for money. Give it a try, I don't think you'll regret it. Best moisturiser ever. I have used so many moisturisers over the years. 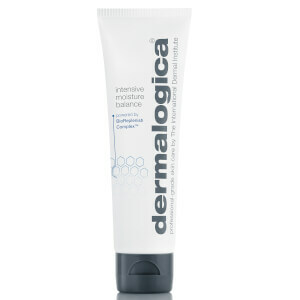 I started using Dermalogica about 18 months ago following a couple of years of skin issues and high sensitivity. My skin is quite dry and I have always struggled to find a good moisturiser I can wear morning under make up (without make up looking powdery) and at night but this is perfect. Not too heavy but feels intensely moisturising. Better yet, this product doesn't give me any issues with my highly sensitive skin thanks to its lack of fragrance and additives. I honestly can't see myself ever using another moisturiser. My friend came over recently who has 'normal' skin and having forgotten her own face cream she also tried this and was astounded how great it felt. This moisturiser will not disappoint! My sensitive, often dry skin loves this moisturizer. I use it in the morning and evening - and in the evening I like to mix in a drop or two of the Overnight Repair Serum, which works miracles for me. Products packaged really securely and super fast delivery. Really impressed with the Derologica Intensive Moisture Balance after only one week. Skin already looking and feeling more hydrated. Recommend. 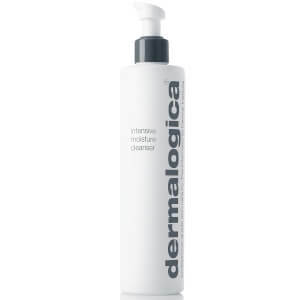 As with all the dermalogica range this does not fail to leave my skin feeling nourished and well moisturised. You only need a small amount and it goes on easily without feeling greasy. I use it twice a day and my skin is silky smooth. Wonderful. makes my v sensitive skin so smooth and soft, lovely protection for your skin for winter. 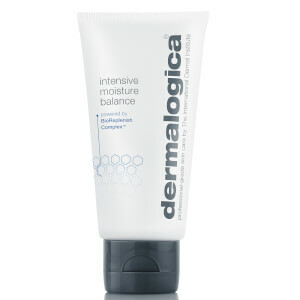 Pricey but i think that dermalogicas range is worth it. the only product that can take care of my dry skin! This is the best moisteriser I have ever used for my nordic skin.